Uip the tumultuous brook of Greenhead Gill. Wordsworth composed his poem in a sheepfold where he sat day after day in quiet contemplation. What he fails to mention in his pastoral idyll was the extensive lead mining that was taking place at the time in the foothills of the mountain beside the beck. A number of these tunnels now overgrown and flooded remain, and the other weekend I went along with Andy Astle to explore an early Elizabethan settlement and mine on the rocky slopes. Andy’s family moved to Grasmere from Morecambe when he was thirteen to run a guesthouse in the village. He began his working life as the village postman before moving into management and he now runs the regional delivery centre in Barrow. 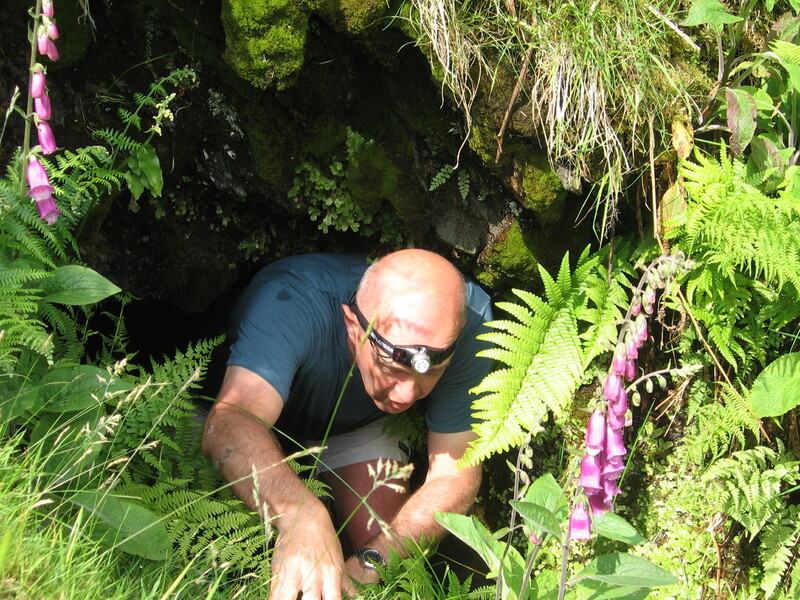 He enjoys cycling and walking and when he offered to take me down one of the disused mines of Greenhead Ghyll, he’d explored many years ago – it was an opportunity I couldn’t pass up. 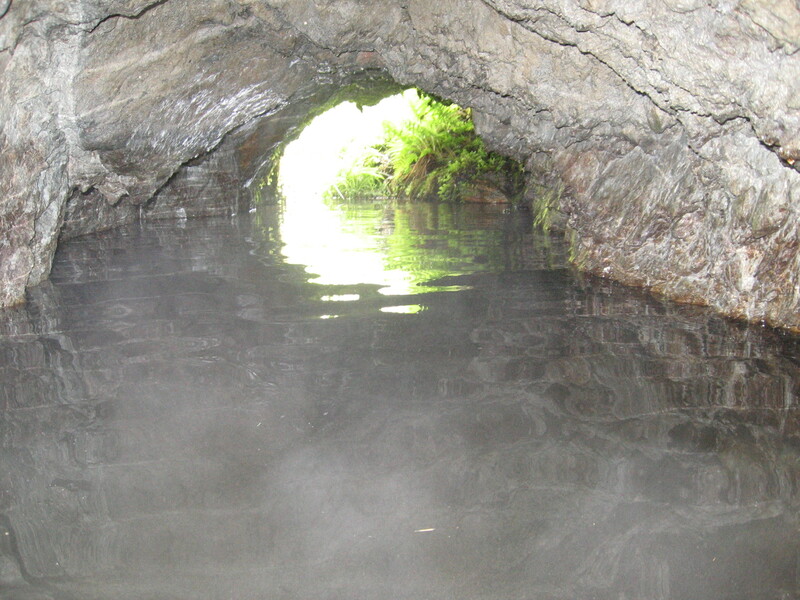 Lead is formed by heat and pressure when sub-vertical mineral veins merge with hot fluids in the earth to form seams. Bluish white when extracted it oxidises when exposed to air turning it silver / grey. Its low melting temperature, requiring little more than a campfire, made it one of the earliest metals to be exploited and it’s been in use for around 8000 years. In 1564 a group of German miners (valued for their expertise) built a settlement alongside the beck and for the next nine years burrowed deep into the mountain. It was abandoned in 1573 and since that time nature has done its best to reclaim the land, where these days only a scattering of rough-cut stones and broken walls, and a partially concealed and flooded tunnel remain. The entrance isn’t much wider than a man and I followed Andy feet first into icy water that sent a shock wave through me after the heat of the day and the steep ascent. 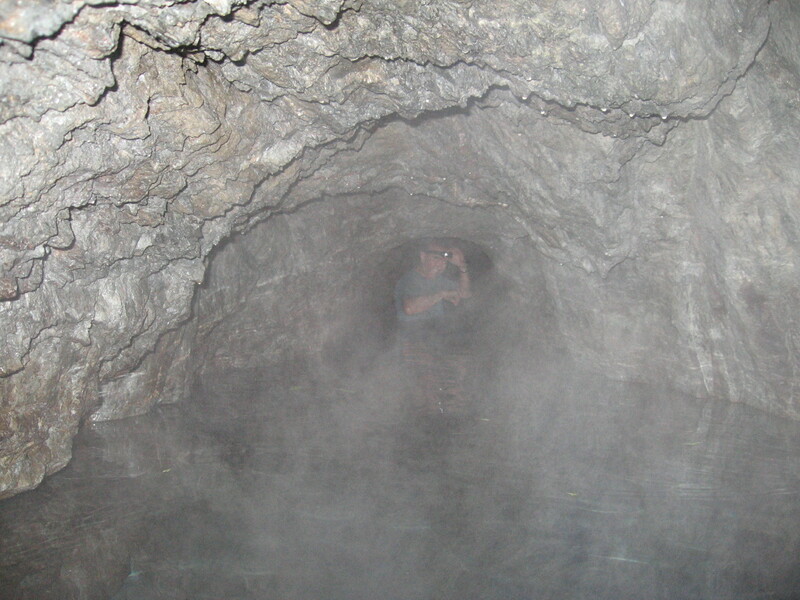 It was just big enough to stand up in; with the water up to our chests, and using the walls to steady ourselves we made our way inside the mountain. The tunnel runs for around four hundred feet: its rough walls shaped by picks and gunpowder formed an arc just above our heads. I found myself in awe of the courage and tenacity of the men who worked and possibly died here four hundred and fifty years ago. I continued in for about fifty feet until a slip on the uneven floor almost put the camera in the water, and while enjoying the moment; I had no particular desire to have to repeat the experience with another camera. I let Andy go on ahead while I took some pictures, then turned away from the black subterranean world and made my way out; emerging into the bright, beautiful day. Beat butter, sugar and syrup until soft and creamy. Stir in dry ingredients. Add candied peel and crystallized ginger. The mixture will be very dry but don’t add any liquid. Spread ¼” thick in well greased tray and cook in slow to moderate oven for 30 to 40 minutes. It should only be slightly brown. I have great respect for all the men who have had to journey into these cold, dark mountains over the years. Thanks for highlighting this unknown (to me) story of the Lakes. A. Fantastic stuff. I’ve been too busy walking the fells to think about what was going on beneath my feet. Yep, good to remind us of the stories of these forgotten people from the past. Andy and yourself are braver folk than I. It was however, a real humbling experience, following I your footsteps a few days later to see the remnants of once a thriving industry. Thanks for leading the way Andy.